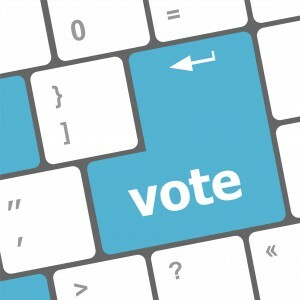 Want to create smart polls that capture more than just opinions? 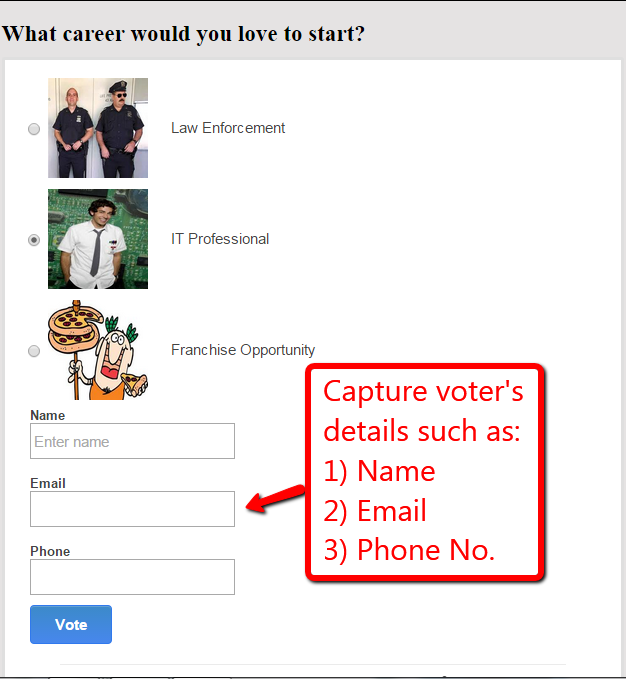 With ProProfs Poll Maker, you can even capture voter’s information such as their names, email addresses, phone numbers and more. You can view this data in your poll results to identify who voted, when they voted, their emails, phone numbers, IP addresses and more such useful information. Read the full post to learn more about the feature or create a poll now. 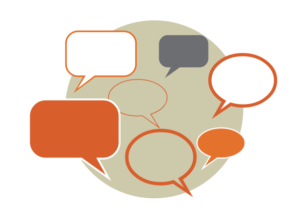 With ProProfs, you can instantly track your respondents and their votes by viewing poll results. For instance, let’s say you want to create an event poll and then quickly send email invites to all the prospective attendants. 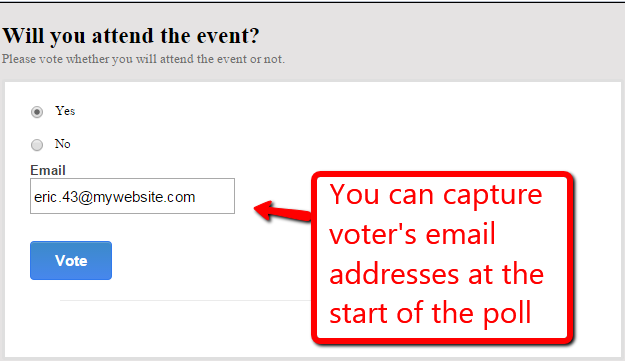 To do this, you can create a poll with a question such as “Will you attend the event?” and ask voters their name and email addresses at the start of the poll. Once voter’s take you poll, you can access the reports to instantly view the answer of every single voter. The reports not only make it super easy for you to quickly track who’s coming to the event but also save tons of your time and effort, with all this information readily available in a central location. Know your customers better - ProProfs polls help capture vital information from your customers, which you can analyze to understand new facts about your customers’ choices and motivations. You can capture voters’ information, right at the start of the poll, such as who took your poll, when was it taken, the voter’s answer options, city, state, country, and more. This wealth of information helps you segregate your audience into different categories such as gender, geographical location and answer options. Viewing the information in this manner can reveal new insights about your customers. Gain new & relevant business leads - Using ProProfs polls, you can gather new leads for your business by capturing the contact information of prospective customers such as their email addresses and phone numbers. You can view their votes, physical addresses and even track the location from where they took the poll by viewing their IP addresses. All this information is presented in a concise report so that you easily filter relevant and non-relevant customers. Plus, you can dig deeper by downloading this information as an Excel sheet. 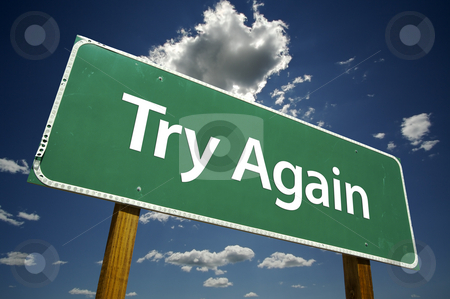 Creating effective market research polls, event polls and the like, that capture new business leads, was never so easy! 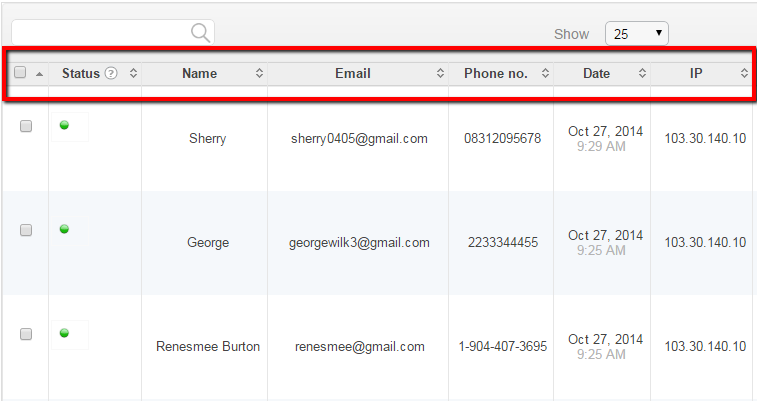 Create a poll with a name and email capture and check out the feature for yourself. You can easily configure what information to ask voters before they start the poll by going to settings and selecting the desired options under Security & Tracking.